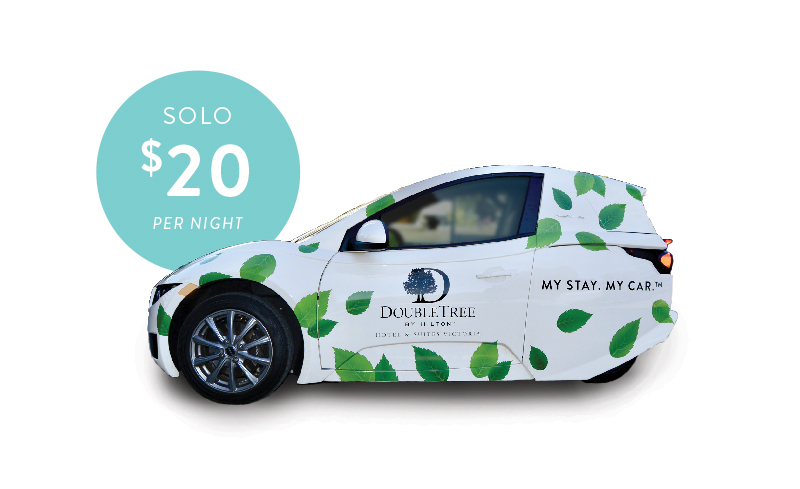 Experience the share economy at its best with DoubleTree by Hilton Hotel & Suites Victoria’s new car share program. 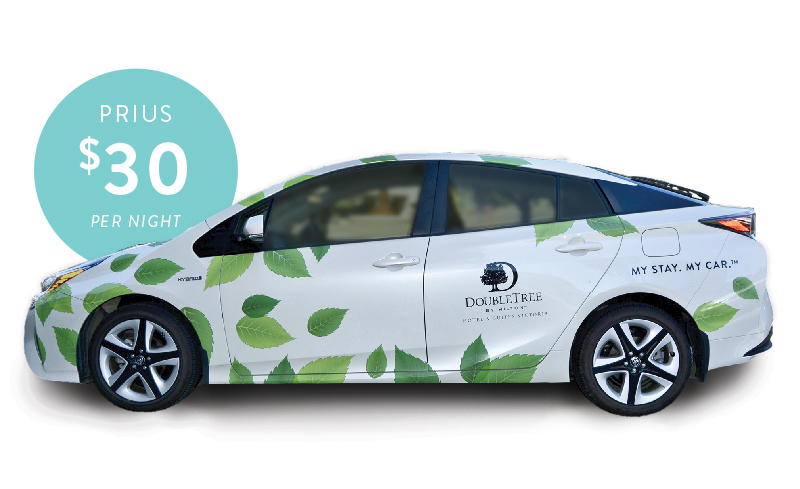 When booking your stay, add a Toyota Prius or SOLO electric commuter car to your room for $20-$30 and receive complimentary parking. The process is easy. Within 24 hours of arrival, book through the hotel’s website or call reservations (1-800-774-1500) and asking for the MY STAY. MY CAR.™ package. Select either the Toyota Prius or 1-seater SOLO electric car. When you arrive, you are asked to complete a 1-page rental agreement while checking into your room. Once completed, our guest services team will hand you two keys for your stay: 1 for your room and 1 for your car. The MY STAY. MY CAR.™ package is open to all guests 21 years of age and older. Standard conditions apply: guests must book at least 24 hours prior to check in, adhere to a 48 hour cancellation policy, and hold a valid Canadian, U.S. or International drivers’ license. This program is powered by share economy pioneer Turo, who have launched in British Columbia October 2017. The DoubleTree by Hilton Hotel & Suites Victoria is the first hotel to work with Turo in order to offer car services to guests. 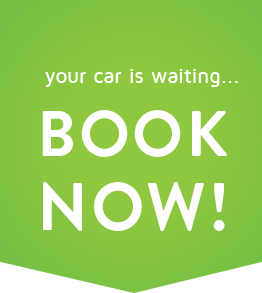 Book your own SOLO electric car with your room. This innovative package bundles your TURO rental car, valet parking and hotel room together in one easy transaction. Booking the MY STAY. MY CAR.™ package is an additional $20 per day (the same cost as valet parking). This car seats 1 person and may be driven within city limits. We will charge the car for you before and after use at one of our 2 electric charging stations on property. 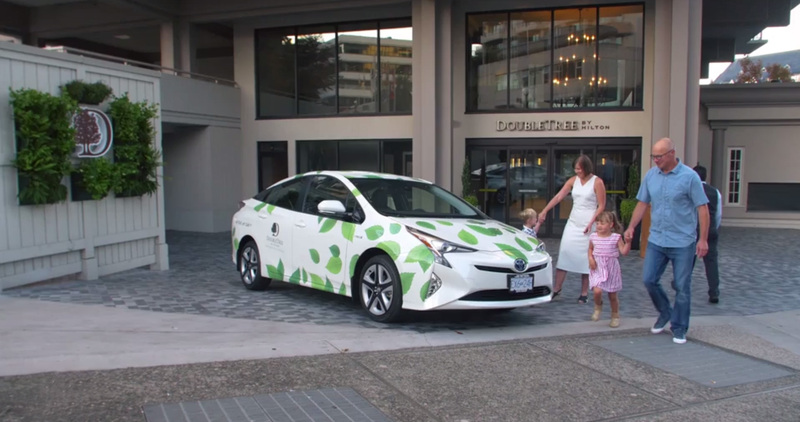 Book your own Hybrid Toyota Prius with your room. This innovative package bundles your TURO rental car, valet parking and hotel room together in one easy transaction. Booking the MY STAY. MY CAR.™ package is an additional $30 per day (inclusive of valet parking). This car seats 5 people total and is excellent on gas. *24 hour advanced booking required. TURO (share economy rental car service) car rental is located on property; no parking fees apply. Room rates based on double occupancy. Prices are charged in local currency. TURO car rental valid for all nights of stay the package is booked. Must book at least 24 hours before stay. 48 hour cancellation. Minimum age to rent is 21 years old. Canadian, U.S. or International drivers’ licence required. 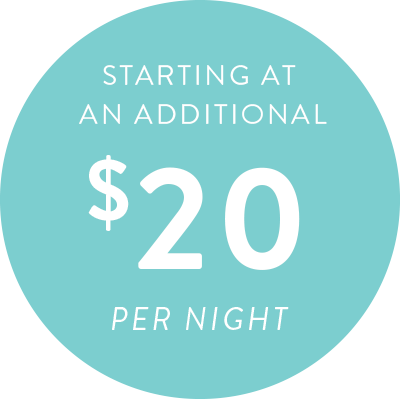 All rates are subject to hotel availability; rate does not include taxes, gratuities or other incidental charges; certain length of stay restrictions may apply. This offer may not be combined with any other discounts or offers. If you would like to book via phone, please call our Internet Customer Center at 1-800-774-1500 and request plan code “PK7”. “With so many travelers arriving to Victoria’s Inner Harbour on foot via float plane or ferry,” said Francis Mairet, principal of Mairet Hotels, the company managing the Victoria property, “we’re thrilled our hotel is able to offer them this easy, convenient and cost effective way to explore our city.” With many Victoria attractions outside of the downtown core, having a car as an extension of your hotel stay allows travelers to easily access popular locations such as Victoria’s Butchart Gardens or Willows beach.